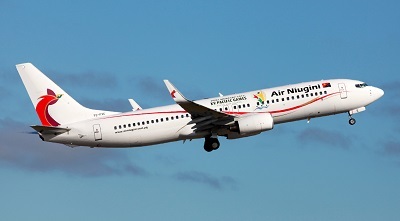 Air Niugini flight PX73 (Pohnpei – Chuuk – Port Moresby) took-off at Pohnpei Airport for a scheduled flight to its intermediate stop at Chuuk having Port Moresby as its ultimate destination. 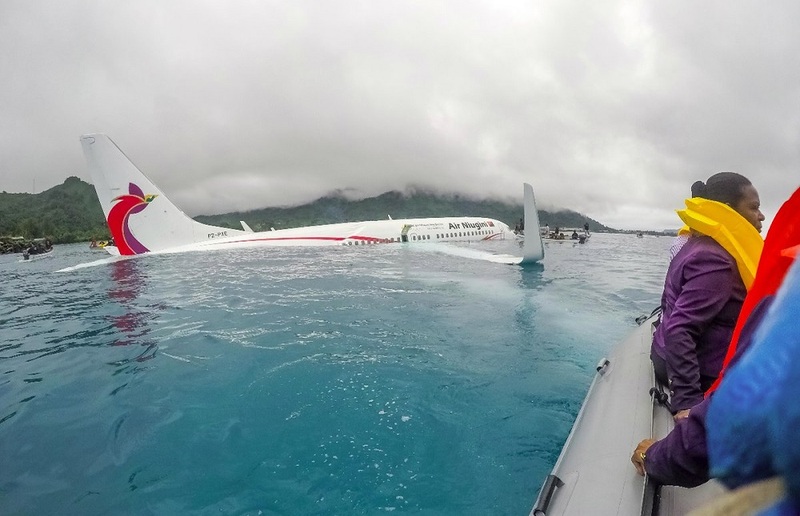 The flight proceeded normally until final approach to runway 04 at Chuuk Airport, Weno Island, Micronesia when the weather conditions deteriorated. 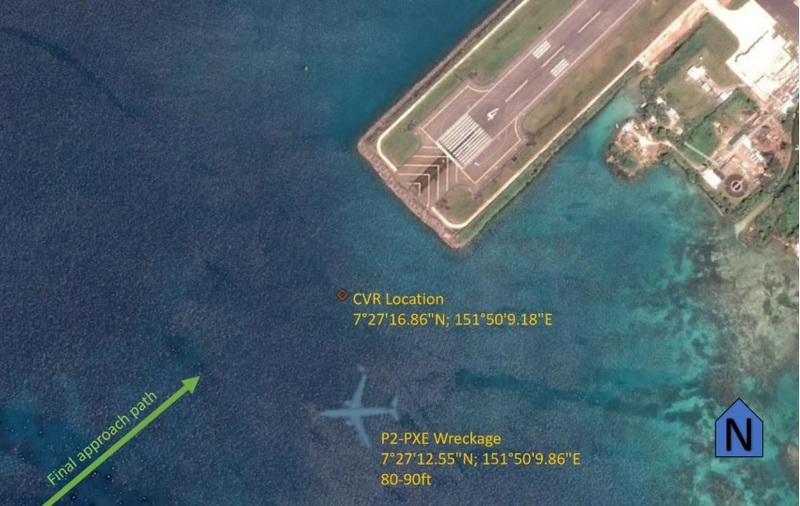 According to eyewitness accounts and local media reports, the aircraft descended below the proper approach path until it hit the water surface ending in Chuuk Lagoon approximately 200 m from the beginning of the runway. 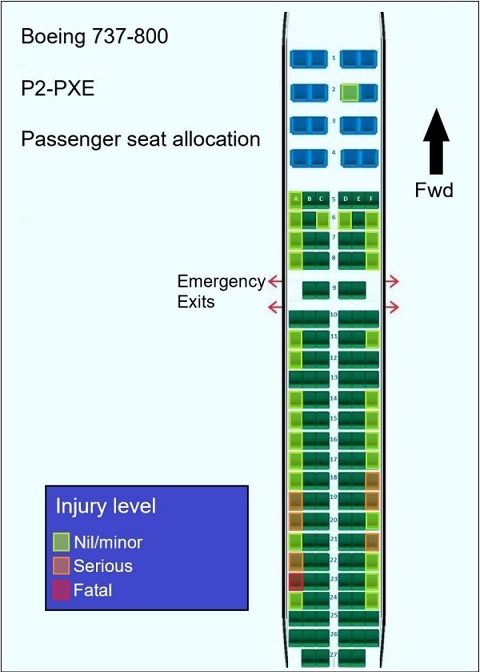 Despite water ingress, the aircraft managed to stay afloat for some time allowing passenger evacuation via the overwing exits and the forward passenger door. 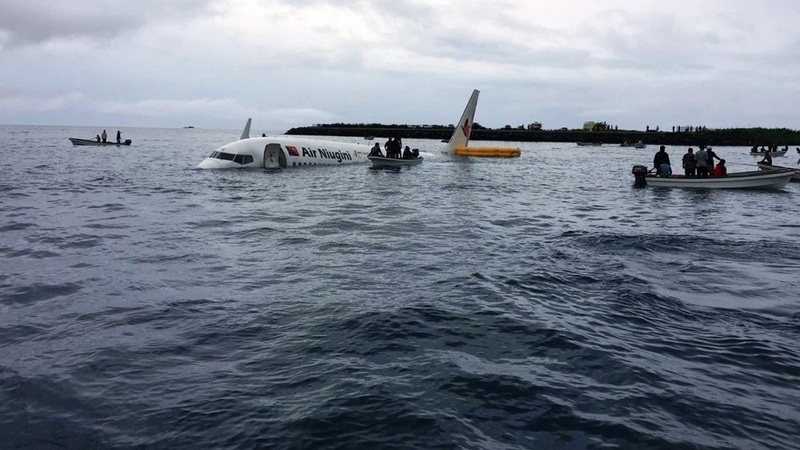 The Boeing later submerged below the window line. All 36 passengers and all eleven crewmembers were able to get off-board unhurt and all but one were rescued by small boats. At the end of the day, there were eight people taken to the hospital, four of them with serious, but not life-threatening injuries. 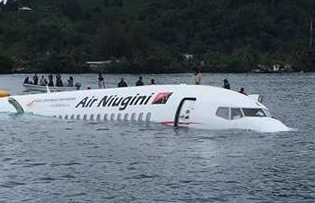 However, on 2018-09-29 Air Niugini reported one male passenger was unaccounted for and was reported missing. One day later, the man’s dead body was found inside the aircraft. He was the only fatality in this accident. The 737 received major structural damage. The main undercarriage separated during the water impact sequence. A clear line of buckling is visible just aft of the wings. 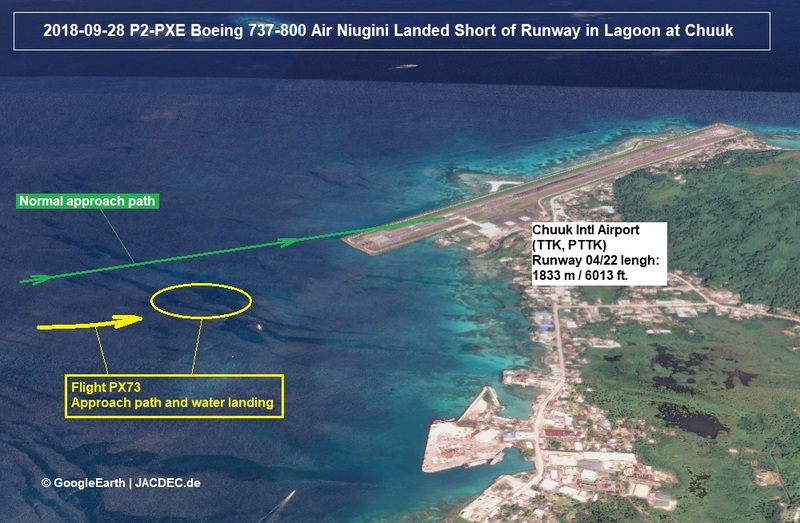 The aircraft eventually sank in 90 ft of water to the seabed of Chuuk Lagoon. At the time local weather consisted of local thunderstorm activity associated with reduced visibility (from 14 to 3 miles) and intense rain showers. The weather deteriorated rapidly during approach. Footage by a US Navy underwater construction team who scrambled to the floating jet in the minutes after the landing revealed that large part of the right engine cowling has broken away and ascended to the surface indicating further damage to the underside of the aircraft. 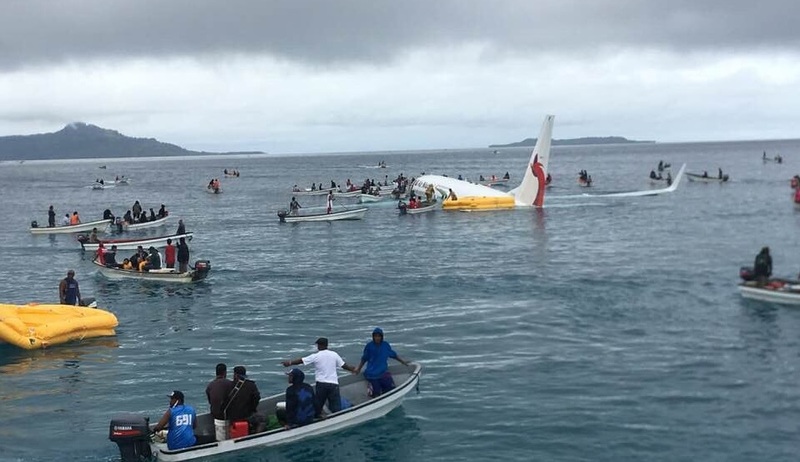 The pilot in command was a 52 year old from PNG with a record of 19,780 h flying experience and 2,276 h in a Boeing 737. The copilot was a 35 year old Australian, with a record of 4,618 h flying experience and 368 h in a Boeing 737.